(Serves 4) This is a lower fat version, made with yogurt instead of mayo! I cooked 4 pieces of chicken, but only 3 went into this chicken salad recipe! Preheat oven to 350 degrees. Arrange chicken pieces on rimmed baking sheet which has been covered with foil. Drizzles with olive oil and sprinkle generously with salt and pepper on both sides. 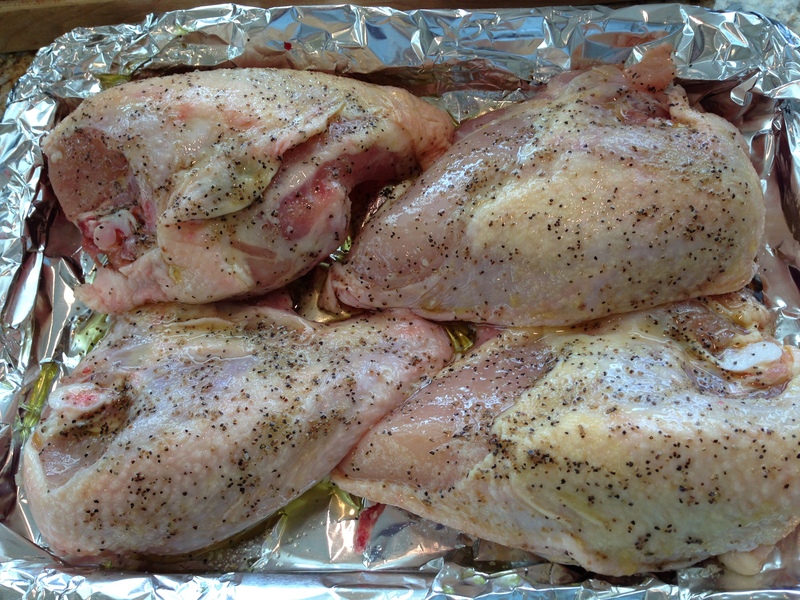 Rub each piece all over to ensure that the oil, salt & pepper are well distributed. Bake for 45 minutes. Let rest and cool for 30 minutes. When chicken is cooled, remove and discard the skin and bones. Chop in bite size pieces. Place cut chicken in large bowl. Add grapes, celery, pecans, and apples. Mix gently. In a separate bowl, mix yogurt, honey and Dijon mustard, add salt & pepper to taste. Pour yogurt mixture over the chicken mixture and mix well. Set aside in refrigerator. 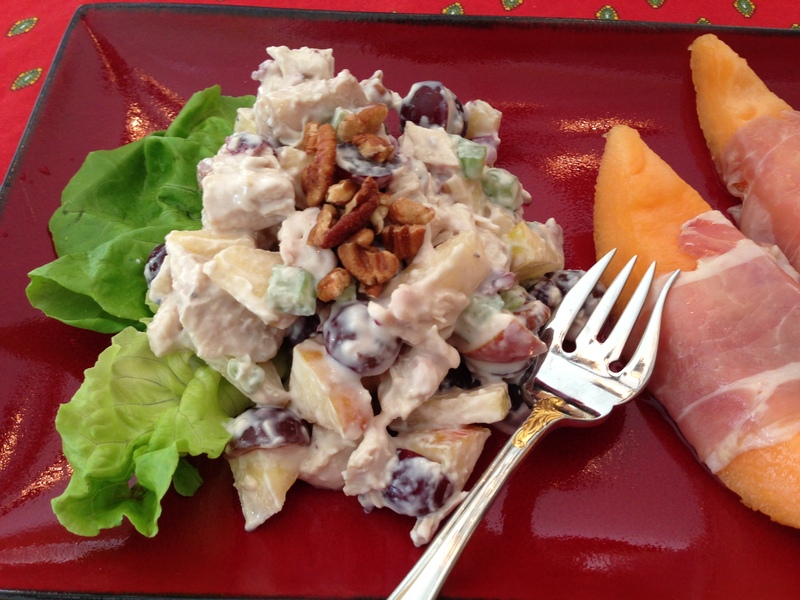 Serve large spoonfuls of chicken salad on top of bibb lettuce for presentation. Serve with a side of toasted ciabatta bread or pita bread. Note: You can make it the day ahead, but it will dry up slightly, you can mix up another patch of yogurt dressing and freshen the salad up with a couple more heaping tablespoons of dressing and mix. This entry was posted in CHICKEN, Soups and Salads and tagged best chicken salad, CHICKEN, chicken salad, honey, honey yogurt chicken salad, low fat chicken salad, SALAD, yogurt. Bookmark the permalink. Thanks Rita! I appreciate your comments. Looks like a perfect ladies lunch🍷 What wine do you recommend for this light meal?